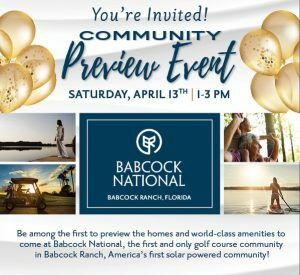 Babcock National will feature over 18 home designs to choose from starting in the upper $100s. The community will offer a mix of multi-family and single-family homes including terrace condominiums, veranda condominiums, luxury coach homes, executive homes and estate-style designs. All of the floor plans will incorporate innovative design details and Lennar’s signature Everything’s Included® program which provides customers with a high level of standard features already included in the price of the homes. Features include quartz countertops, stainless steel appliances, designer-style cabinetry and Wi-Fi CERTIFIED™ home designs.